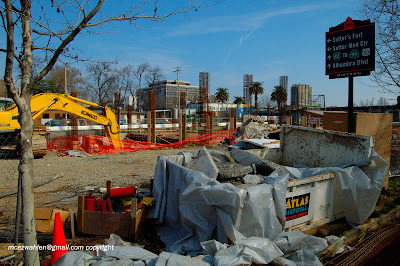 Serious work is under way for the Sutter Medical Center in Mid-town Sacramento. 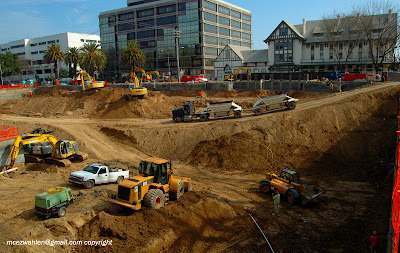 Since summer of 2006, several buildings have been demolished and site work has started for one of the new medical buildings. This nearly $600 million health care and community redevelopment project is designed as a regional medical facility to meet Sacramento's healthcare needs for the next 50 years. The new complex will be named the Anderson Lucchetti Women's and Children's Center, named in honor of the family of the late Fred Anderson, founder of Pacific Coast Building Products, Inc. 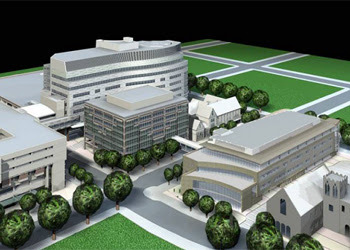 The remodeled Sutter General and Cancer Center will eventually include a Women’s and Children’s Hospital Building; the Sutter Medical Foundation Building, which includes a below- grade Energy Center; a Community Parking Structure with first floor commercial and retail facilities; 32 residential units with an associated parking garage; a Medical Office Building; and a children’s theater. At the completion of the medical campus in late 2010, Sutter General Hospital will be renamed the Ose Adams Medical Pavilion in honor of the donations from Sacramento philanthropists Enlow and Melena Adams Ose. The new Sutter Medical Foundation Building will on the right next to Church. 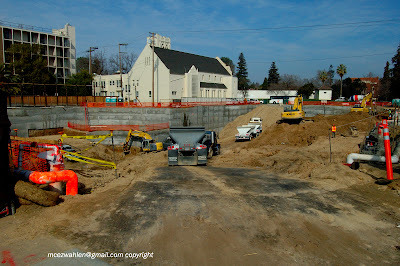 Digging for the Sutter Medical Foundation Bldg. where I beleive the below-grade Energy Center will be. Where a six story parking garage will hold 1,100 vehicles. anyone know what is rising from where the below-grade energy center area is possibly going? i passed by it tonight and there is some sort of wood framed monolith perking up about two or three stories high? TD, I think you meant the parking garage off of N Street right? 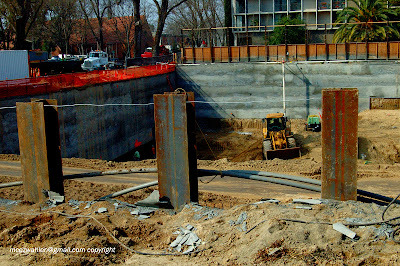 What you’re seeing is the concrete core for elevator shaft of the garage. Click here to tip us off on Sacramento proposals, developments, arts, culture and entertainment.